As you may or may not know the Blue Anchor Pub in Byfleet is reputedly haunted by more than one ghost, as witnessed by many staff members. 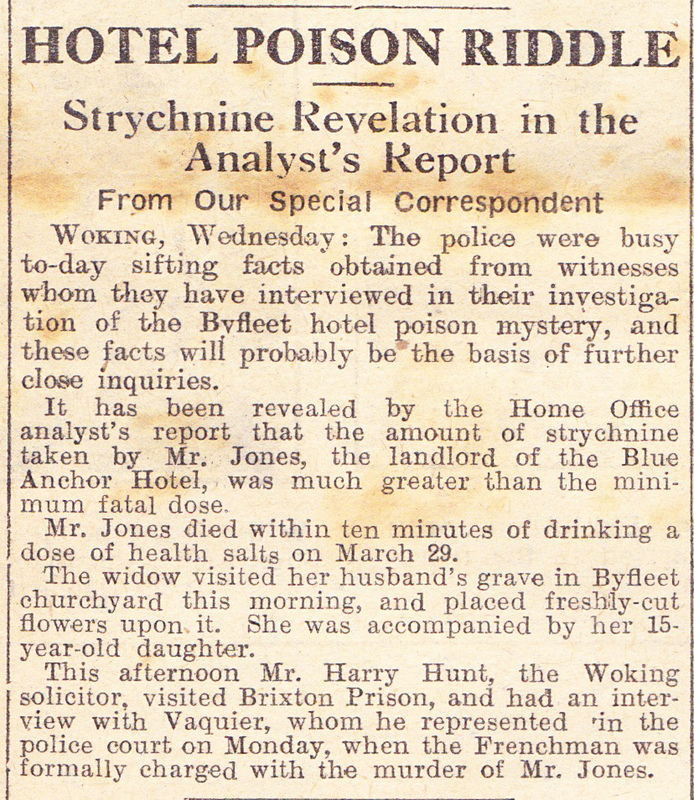 The Blue Anchor’s most famous resident is that of the ghost of Mr Alfred Jones. 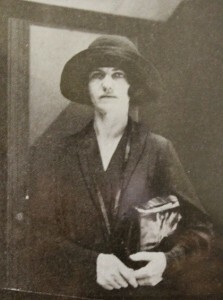 The story goes that Mrs Mable Jones, wife of Alfred had been having a love affair with a French man of the name Jean-Pierre Vaquier. 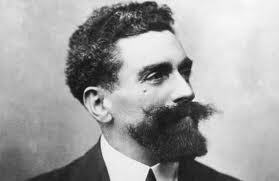 He was a French inventor and they met in France, whilst Mrs Jones was recovering from a break down. Neither of them could speak each other’s native language so communicated via the means of using a dictionary. Vaquier came to England to continue his romance with Mable and ended up being a residence in what was then known as The Blue Anchor Hotel. On the morning of the 29th of March 1924 Jones took what he thought was Bromo-Seltzer a known remedy at that time for curing hangovers, actually drinking a fatal poison known as strychnine, this resulted in him dying a horrific death 24 hours later. 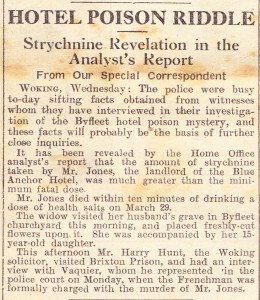 When the post mortem was done it revealed the evidence and showed that Jones’ body had this fatal poison in it, a second post mortem was carried by Sir Bernard Splisbury who also confirmed the shocking evidence and it was then uncovered that Jones had actually been murdered. 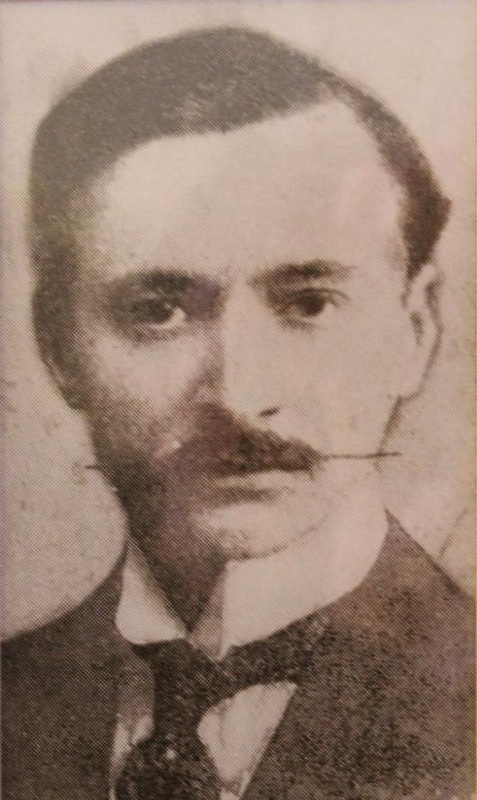 Vaquier was arrested 3 weeks later as a chemist in London who sold the strychnine, confirmed the identify of Vaquier as the purchaser of the substance. The trial took place in 1924 at the Guildford Assizes where Vaquier was found guilty. He was hanged by Robert Baxter at HM Prison Wandsworth. The staff at The Blue Anchor claim to have seen Mr Jones, roaming around the pub looking for his wife and deeply upset, haunting The Blue Anchor corridor. You can read a more detailed account of the story at the All Things Crime blog.